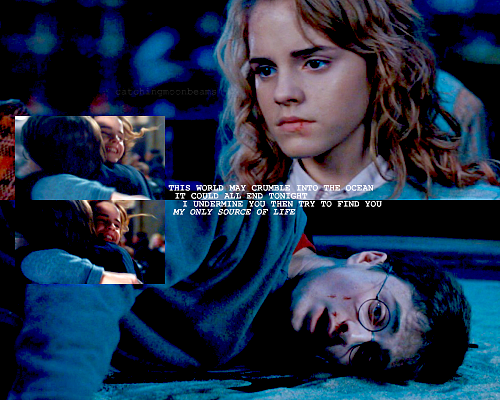 Only you.. . Wallpaper and background images in the Harry et Hermione club tagged: harry potter hermione granger harmony emma watson daniel radcliffe harry and hermione. This Harry et Hermione fan art might contain ishara, bango, maandishi, ubao, matini, ubao wa chokaa, picha, headshot, and closeup.